← “Ice Cold in Alex”. Diwali also known as Deepavali and the “festival of lights”, is an ancient Hindu festival celebrated in autumn every year. The festival spiritually signifies the victory of light over darkness, knowledge over ignorance, good over evil, and hope over despair. 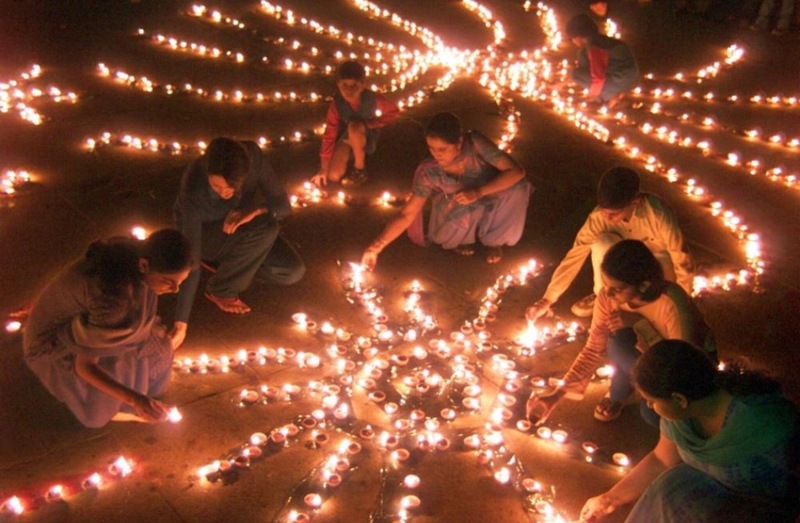 The festival preparations and rituals typically extend over a five day period, but the main festival night of Diwali coincides with the darkest, new moon night of the Hindu Lunisolar month Kartika. Before Diwali night, people clean, renovate and decorate their homes and offices. 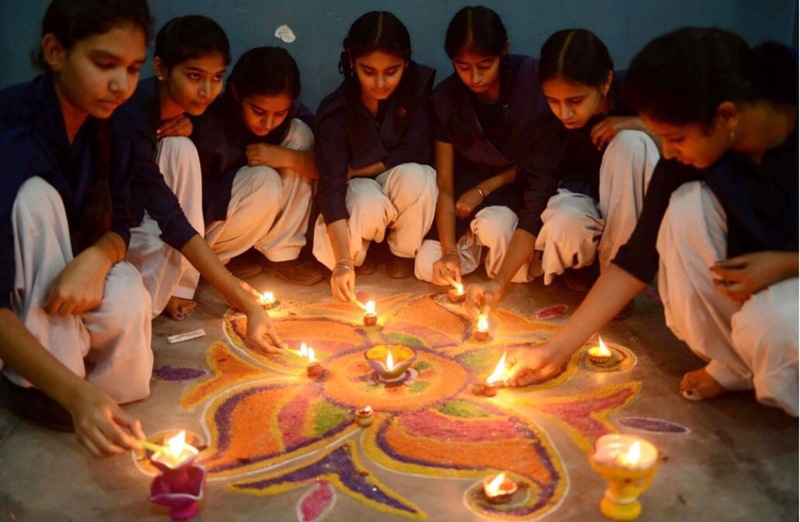 On Diwali night, Hindus dress up in new clothes or their best outfit, light up diyas (lamps and candles) inside and outside their home, participate in family puja (prayers) typically to Lakshmi – the goddess of wealth and prosperity. After puja, fireworks follow, then a family feast including mithai (sweets), and an exchange of gifts between family members and close friends. What started out as a few fireworks and fire crackers, at around 7pm last night, quickly disintegrated into utter mayhem. I have never seen or heard anything quite like it. As I walked along the street, from the calmness of my hotel, I was presented with what can only be described as a scene from Disneyland. All the houses and flats had been adorned with a myriad of colourful lights – a spectacle that drew my breath. 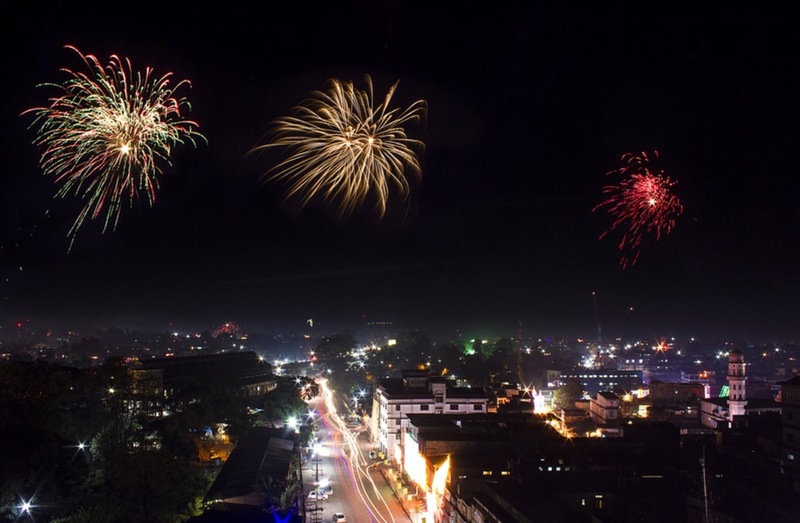 As I walked further, the sound of fire crackers began to get louder and streaks of light flashed in front of me as a mass of rockets were being set off. What I was presented with next still has me laughing and shaking my head in disbelief. Picture if you will a narrow street with hoards of fireworks being let off in every direction. It was like a battle zone. The noise was deafening and the air was heavy from the plumes of smoke created by the exploding fireworks and fire crackers. If you have ever seen the programme ‘Idiot Abroad’ and the episode where Karl Pilkington is walking down the street with fireworks going off in every direction then you will appreciate what it was like. It was a scene that will remain with me for a very long time to come. This entry was posted in India and tagged Diwali. Bookmark the permalink. 2 Responses to Happy Diwali. Hi Grif, How are you? Just been reading your blog after mum sent me the link about your encounter in Nicaragua!!! The risk of travelling off the beaten track but by far outweighed by the amazing sights and cultures you are experiencing. In awe and envy of you after reading some of your blog. Keep up the good work. Col.